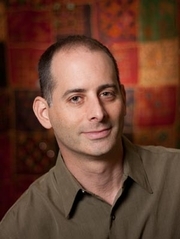 Michael Lowenthal is the author of three previous novels; The Same Embrace, Avoidance, and Charity Girl, which was a New York Times Book Review “Editors’ Choice,” a Washington Post “Top Fiction of 2007” selection, and a Book Sense Top Twenty Pick. The recipient of fellowships from the MacDowell Colony and the Bread Loaf Writers’ Conference, he is a core faculty member in Lesley University’s MFA program in creative writing. He lives in Boston, Massachusetts. What You Wish For: Having a baby is complicated. Dimple knows. She’s a successful actress who is turning forty—though her agent and her resume insist she is only thirty-six and she figures it’s now or never. Certainly, it’s not a good time for a director to show up at her door with a great script. Eva, fabuouls agent to the stars, doesn’t want kids and never wanted kids. Why is her decision so damned hard for everyone else to accept? When Maryn was undergoing treatment for cancer, she and her husband both agreeed to have embryos frozen. But that was before her divorce and her remission—and now she’s single and childless, and caught in the middle of a controvery she never saw coming. The traditional and nontraditional couples deperate for a baby…the adoptive parents…the single mom…the two who want nothing to do with parenthood….This is a thoroughly modern story of the pursuit of family in all its forms—and of five very different ways of getting there. Kerry Reichs, a graduate of Duke University School of Law and Stanford Institute of Public Policy, practiced law in Washington, D.C. She is the author of The Best Day of Someone Else’s Life and Leaving Unknown. The Paternity Test: Having a baby to save a marriage — it’s the oldest of clichés. But what if the marriage at risk is a gay one, and having a baby involves a surrogate mother? Pat Faunce is a faltering romantic, a former poetry major who now writes textbooks. A decade into his relationship with Stu, an airline pilot from a fraught Jewish family, he fears he’s losing Stu to other men — and losing himself in their "no rules" arrangement. Yearning for a baby and a deeper commitment, he pressures Stu to move from Manhattan to Cape Cod, to the cottage where Pat spent boyhood summers. As they struggle to adjust to their new life, they enlist a surrogate: Debora, a charismatic Brazilian immigrant, married to Danny, an American home rebuilder. Gradually, Pat and Debora bond, drawn together by the logistics of getting pregnant and away from their spouses. Pat gets caught between loyalties — to Stu and his family, to Debora, to his own potent desires — and wonders: is he fit to be a father? In one of the first novels to explore the experience of gay men seeking a child through surrogacy, Michael Lowenthal writes passionately about marriages and mistakes, loyalty and betrayal, and about how our drive to create families can complicate the ones we already have. The Paternity Test is a provocative look at the new "family values." Michael Lowenthal is the author of three previous novels, Charity Girl, Avoidance, and The Same Embrace. His short stories have appeared in Tin House, the Southern Review, the Kenyon Review, and Esquire.com, and have been widely anthologized. He has also written nonfiction for the New York Times Magazine, Boston Magazine, the Washington Post, the Boston Globe, Out, and many other publications. The recipient of fellowships from the Bread Loaf and Wesleyan writers’ conferences, the MacDowell Colony, the Massachusetts Cultural Council, the New Hampshire State Council on the Arts, and the Instituto Sacatar, Lowenthal has also been awarded Lynchburg College’s Thornton Residency and the James Duggins Outstanding Mid-Career Novelists’ Prize. He has taught creative writing at Boston College and Hampshire College, and since 2003 has been a core faculty member in the low-residency MFA program at Lesley University. A former board member of the literary human rights organization PEN New England, Lowenthal lives in Boston. KPL Staff discusses Charity Girl. Michael Lowenthal , Charity Girl. Michael Lowenthal is currently considered a "single author." If one or more works are by a distinct, homonymous authors, go ahead and split the author. Michael Lowenthal is composed of 2 names. You can examine and separate out names.